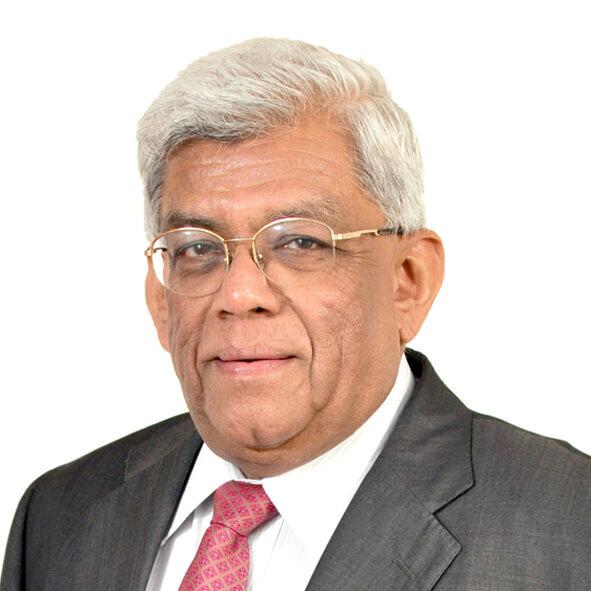 Mr. Deepak Parekh (70), Chairman of HDFC, spearheads India’s premier housing finance company HDFC Ltd., which has turned the dream of owning a home into a reality for millions across the country. His astute business acumen and farsightedness has not only made HDFC the leader in Mortgages, but has also transformed it into India’s leading Financial Services Conglomerate with presence in Banking, Asset Management, Life Insurance, General Insurance, Real Estate Venture Fund, Real Estate, Education Loans and Education. Mr. Parekh is on the board of several leading corporations across diverse sectors. He is the Non-Executive Chairman in India of BAE Systems India (Services) Pvt Ltd, Glaxo Smithkline Pharmaceuticals and Siemens. He is also on the boards of Fairfax Financial Holdings corporation, Indian Hotels Company Ltd, Mahindra & Mahindra Ltd, Network18 Media and Investments ltd and international boards of DP World – UAE and Vedanta Resources plc besides being on the board HDFC Group Companies. He is also on the Advisory Board of several Indian corporate and MNC’s. In addition to being known for his vociferous views seeking standardization and transparency in the real estate sector, Mr. Parekh is dubbed as the unofficial crisis consultant of the Government. Be it his role of reviving Satyam (2009) and getting UTI from the mess (late ‘90s). Mr. Parekh has always been willing to share his ideas and experience to formulate reform policies across sectors. This at times, has also meant advising the Government to take hard decisions. It is his quality of a trouble-shooter that has made him a guiding force and an active member of various high-powered Economic Groups, Government-appointed Advisory Committees and Task Forces. Some of the international organizations which Mr. Parekh is associated with in an advisory capacity, include Indo US CEO Forum, City of London, Indo – German Chamber of Commerce (IGCC),etc. Government and Industry impressed by Mr. Parekh’s performance and sobriety, have honored him with several awards. Some of the most important ones are; the Padma Bhushan in 2006. Internationally some of his recent prominent awards include, ‘Bundesverdienstkreuz’ Germany’s Cross of the Order of Merit one of the highest distinction by the Federal Republic of Germany in 2014, “Knight in the Order of the Legion of Honour” one of the highest distinction by the French Republic in 2010, First international recipient of the Outstanding Achievement Award by Institute of Chartered Accountants in England and Wales, in 2010.